Along with the advent of the iPhone 6s and Apple’s new lineup of devices, the tech giant unveiled the next installment of the Apple TV. It’s new and improved, and for the first time, it can play games. Seriously, it can. Though this could be considered as Apple’s first step into the gaming world, games aren’t a priority and are just a minuscule part of what the device can do. It can run applications and stream movies, among other things. Regardless, Apple has effectively stepped into the crowded video game market, which leaves us wondering: will it compete and equally go toe-to-toe with, let’s say, Sony’s Playstation, Microsoft’s Xbox, and Nintendo’s WiiU? 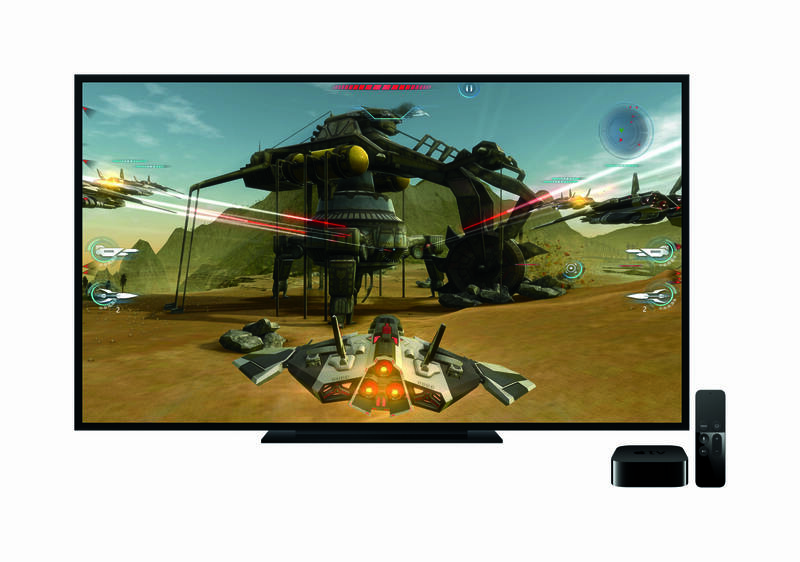 Will gaming be a major part of Apple’s lineup in the future? More importantly, will it render Apple to create a video game console soon? There are a few things to consider first. The iOS’ strongest point was never its gaming capabilities, but incidentally, most of its highest grossing and widely-acclaimed apps are games. Everybody still remembers games like Angry Birds and Candy Crush. While these aren’t the best games in the world, they have effectively found themselves on most Apple devices. It’s not even gamers who download them: people haven’t touched a console do. Ironically, today’s biggest video game market is composed of iPhone and iPad-wielding non-gamers. Let that sink in for minute. It’s not far fetched to think that mobile users would come home after a hard day’s work and play games on the Apple TV. Another reason to think it will appeal to non-gamers is the simplicity of the Siri Remote, which it uses as its controller. The design is comparable to the Nintendo Wii. However, this forces developers to create control schemes which are casual and simple. On a positive note, it is possible to use an iPhone or an iPad as game controllers. Developers are now required to have their apps support Siri Remote, while some of the games can be played through third-party controllers. And How About That Controller? To me it looks to be most similar in ergonomics to the Xbox One controller, which makes sense when you think about it – both devices are aiming to take over your living room with their media capabilities. I imagine that the controller will feel similar assuming that their isn’t a difference in weight or size. And I like the integrated remote capabilities that are built into the controller. The iOS App Store is host to a huge catalog of games. While most are low-cost indie and “freemium” games, some are made by giants such as 2k, Electronic Arts, and even Square Enix. These companies have recognized the iOS’ potential, and though they still play a vital role in console gaming, they have invested heavily into mobile gaming – at the cost of handheld consoles, like the Playstation Vita, which has a relatively low user base and is less profitable. One noteworthy example is the absence of an NBA 2k game and the discontinuation of the FIFA series on the Vita, while these are annually released on the iOS. Sony even gave up on the device, which has so much potential. Regardless, it is still considered a great handheld console and is definitely the most powerful one to date. Square Enix meanwhile, has made iOS versions of some of their games, like Final Fantasy VII and Final Fantasy Tactics: War of the Lions. There are even some Playstation Portable games, like Monster Hunter Freedom Unite (Capcom), which are currently part of the iOS’ roster. Nintendo is even releasing an augmented reality Pokemon game next year on the iOS and Android, aptly named Pokemon Go. The question is though, will these companies likely invest in the Apple TV? The Apple TV isn’t as powerful compared to the Playstation 4 and Xbox One. File sizes on Apple TV applications are restricted to 200 MB. With some console games currently exceeding 20GB downloads, you can see the difference there. You’re not going to get the AAA games of PS4 and XBONE. Its game inventory is relatively sparse compared to that of the iOS. With that said, Apple TV will only be good for platformers, indies, sports, and other casual games which run well on the iOS – you’ll really start to notice the disparity when playing more realistic titles such as the Fallout and Call of Duty series. But regardless, the signs are promising: Apple might just be testing the waters for now. If its video game capabilities will experience an influx of users – both casual and dedicated gamers – then developers will definitely follow and create games for it. 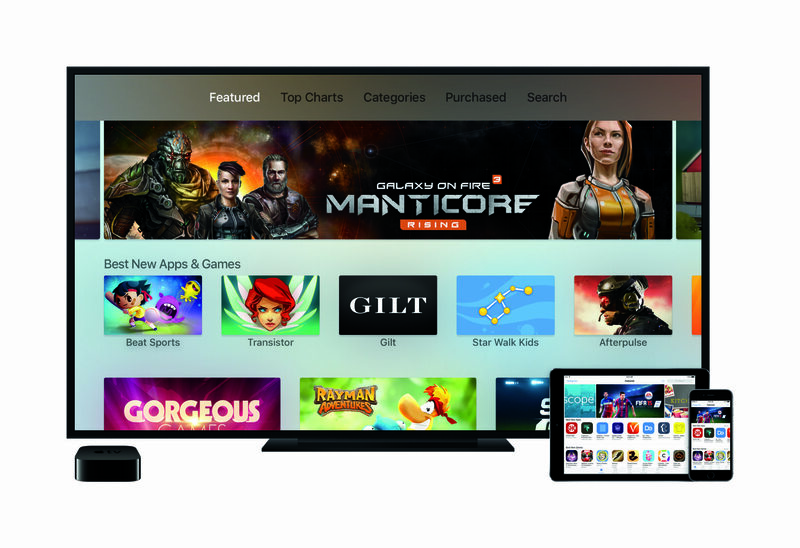 The Apple TV has a lot of potential, and if the games become a large selling point, the tech giant might seize the opportunity (which it is incredibly good at) and we might see an Apple-made video game console soon. For now, honestly, as gaming-capable set top boxes go, the Xbox One really provides the seamless gaming/media experience that I crave with the games that I want. But this is just the beginning, and I’m looking forward to eating my words next year.